In China traditional healers use Danggui Buxue Tang, a mixture of Angelica sinensis and Astragalus membranaceus. In vitro studies already suggested that Danggui Buxue Tang is interesting for athletes - and now Taiwanese researchers show that the preparation allows recreational runners to perform spectacularly better. The researchers, who were affiliated with Kaohsiung Medical University, divided 36 recreational runners into 2 groups. Both groups were equally fit. One group received a placebo every day for 11 days, the other Danggui Buxue Tang. 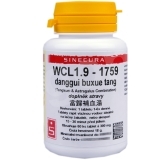 Danggui Buxue Tang is an age-old Chinese herbal mixture, which according to in vitro studies increases the production of EPO. 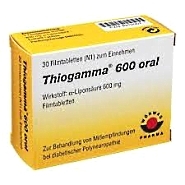 It contains an extract of Astragalus membranaceus roots and Angelica sinensis roots. The subjects in the experimental group took 7.5 grams of Danggui Buxue Tang daily. That was only 5 grams of extract, the rest was filler. The 5 gram extract was 83 percent from Astragalus membranaceus, and the other 17 percent from Angelica sinensis. When the 13 days were over, the researchers let the test subjects run a distance of 13 kilometers. The experimental group [DBT] ran this distance by as much as 14 percent faster than the placebo group [Control]. The average time difference between the groups was 12.3 minutes. The researchers suspect that Danggui Buxue Tang allows the body to handle iron more efficiently. As a result, red blood cells could potentially carry more oxygen. "Short-term Danggui Buxue Tang supplementation shortened the 13-km running time", summarize the researchers. "Our results suggest that Danggui Buxue Tang could be a promising ergogenic aid for athletic performance." Endurance athletes probably synthesise much more EPO if they take 1200 mg alpha lipoic acid daily. Endurance athletes who push themselves to the limit – for example by doing altitude training – may see quicker results by using supplements containing Rhodiola. In vitro research. A test-tube study by molecular scientists at Pusan National University in Korea.